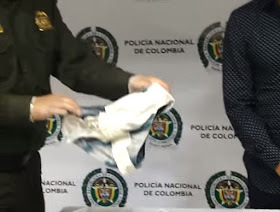 A former Colombia international has been arrested after being caught trying to smuggle cocaine in his pants. 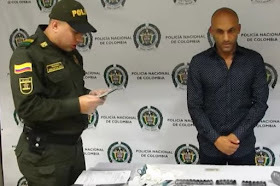 Diego Osorio, 46, was caught with the drugs by officers at the Jose Maria Cordova airport in Rionegro, Colombia, ahead of a flight to Spain. The cocaine was reportedly found fastened inside of his underwear when it was discovered by police. Weighing 1.145kg, the cocaine is thought to have a street value of around €45,000. Osorio, who has 17 caps for Colombia reportedly told agents "I am paying off a debt" when we was caught boarding a plane to Madrid. 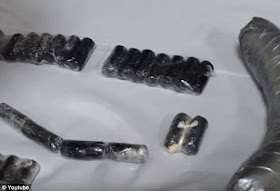 It is not the first time that Osorio has been caught with drugs having being arrested in August 2002 for cocaine possession and trafficking in Miami. 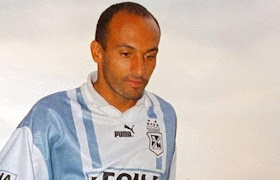 Osorio represented Colmbia at the 1992 Olympic Games and also played in the 1991 and 1993 Copa Americas.